Lyric Devotions: Will You Cry Crucify? When I first got saved (March 18, 1985) I had no Bible knowledge. Knowing that Easter was just two weeks away, one of the first things I read about in my Bible was Jesus’ crucifixion. 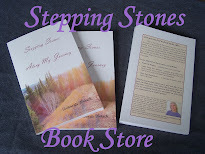 I wanted to learn all I could about what my Saviour had done for me. The account of Jesus suffering on that cross and shedding his blood for my sins made an indelible impression on my heart. How can anyone who reads or hears of the sacrifice Jesus made not be profoundly affected by it? 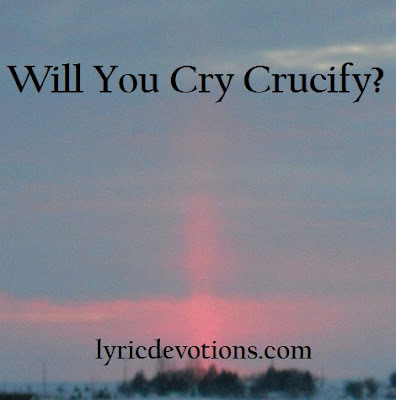 An old spiritual asks the question, “Were you there when they crucified my Lord?” The haunting tone of the song draws the listener into the scene, and truly can cause one to tremble, knowing that though not physically there, our sin was there, and it was not ‘they’ but ‘we’ who crucified our Lord. It was our sin that caused Jesus to walk that road to Calvary. It was your sin and mine that swung that hammer, driving those nails through Jesus’ hands, as he willingly endured excruciating physical pain. But that pain could not compare with the anguish Jesus must have experienced when he, the sinless Son of God, took upon himself the sins of the whole world. He became the sacrificial lamb, shedding his blood for our redemption. As Jesus hung on that cross, blood pouring from the wounds on his head, his hands and his feet, he looked down at the crowd below, and saw the faces of those who had earlier cried, “Crucify him!” As the crowd continued to mock and deride him, Jesus said, “Father forgive them; for they know not what they do.” In the face of such amazing love and wondrous grace, how can anyone remain in that crowd crying, “Crucify!”? Why not step out from the crowd and kneel at Jesus feet where his precious blood will wash away your sin? and witness there the sacrifice of the Holy Lamb of God. as willingly, Christ laid down his life in such agony and pain. Will you with the crowd cry crucify, and spit in the Saviour’s face? 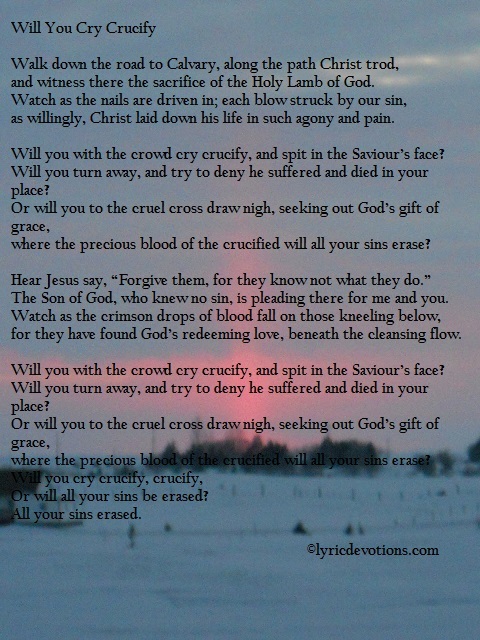 Will you turn away, and try to deny he suffered and died in your place? where the precious blood of the crucified will all your sins erase? The Son of God, who knew no sin, is pleading there for me and you. for they have found God’s redeeming love, beneath the cleansing flow. Or will all your sins be erased? Luke 23:33,34 And when they were come to the place, which is called Calvary, there they crucified him, and the malefactors, one on the right hand, and the other on the left. Then said Jesus, Father, forgive them; for they know not what they do. And they parted his raiment, and cast lots.